07006 INORGANIC ZINC PRIMER VS ORGANIC ZINC PRIMER: (an end-user point of view ). 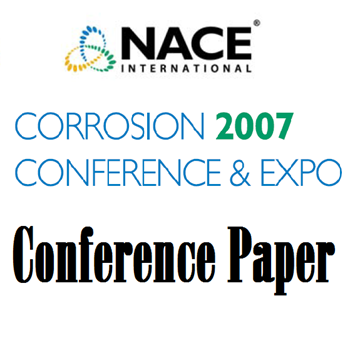 In this paper the approach of an Oil Company is demonstrated from the initial choice between different primers: inorganic zinc and organic (epoxy) zinc., to all the preliminary pre-qualification tests, the subsequently field test performed, and the procedures adopted, costs included. The primary application for coatings made with Fluoroethylene vinyl ether (FEVE) resins has been in architectural markets. This paper will discuss the chemistry and physical characteristics of FEVE resins, including data on weatherability. A brief review of FEVE resin product types will be given. Both laboratory and offshore corrosion test results will be addressed.